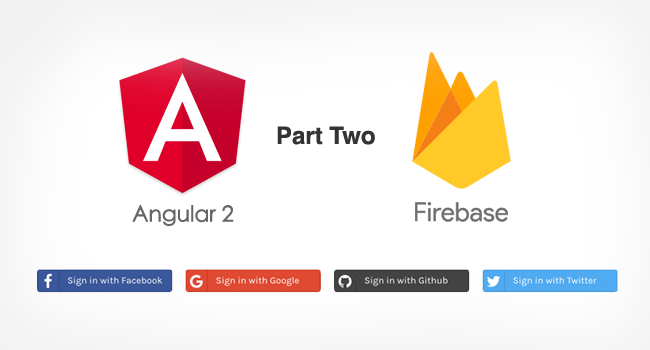 This article is the continuation of previous post Create an Angular 2 CLI App with Firebase Social Authentication. 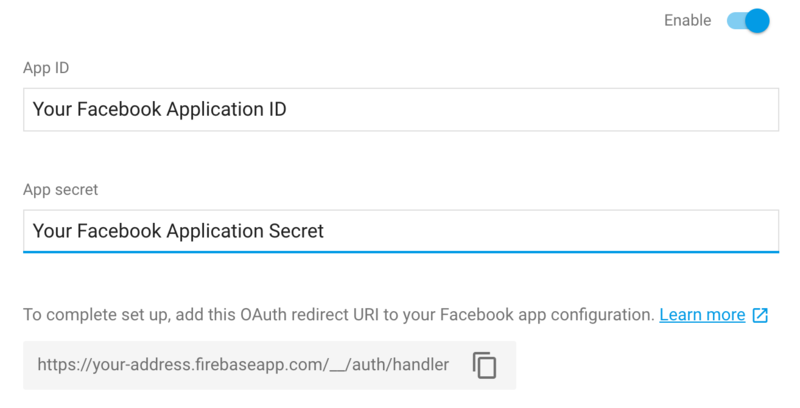 This post further explains the authentication feature for your Angular CLI application using Firebase. AngularFire is the library used for this. In addition to this, we require some Angular providers called sign-in providers to use Firebase Authentication feature. This article explains Facebook, Google and Twitter authentication to log in with our users. Follow the demo and article to install and setup AngularFire library and build your angular web application with an easy and perfect login authentication. Also, the article explains how to redirect to home page from other pages and vice-versa. Go to your project folder and import Angular Firabase module using NPM. Whenever you install some module, you must include this in app.module.ts. Do following changes for importing Angular Firebase methods. You will find keys in following way, use this information in app.module.ts firebaseConfig object. This is an injector service for Angular. Create a providers folder with contains af.ts typescript file. This component we are going to import in login-page and home-page components. Here we are calling Angular Firebase method for login and logout with different social authentication providers. Introduce this provider to app.module.ts. Take a look at the highlighted parts. Main app component is handling the user login status and user data. If the use login is success, user data is storing in local database. //storing userData value in bower location storage. Here logout button works based on isLoggedIn flag value. Here importing the injectable af.ts provider calling inside the socialLogin function. If the user data is available redirecting to home page by using router navigate. Calling scope functions with (click) action. Here user function parsing the local storage JSON data and assign to userData scope object. Binding user data with HTML tags. Include this extra styling for colorful buttons. 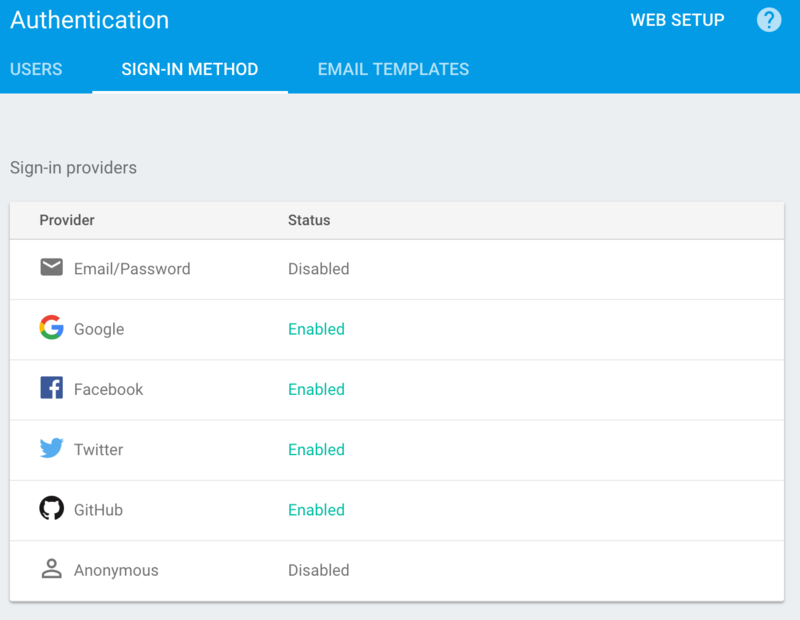 Go to Firebase Dashboard then navigate Authentication page, select SIGN-IN Method tab. Enable login options, here you have to provide your social application keys. Go to Facebook Developer Tools and create a new application. 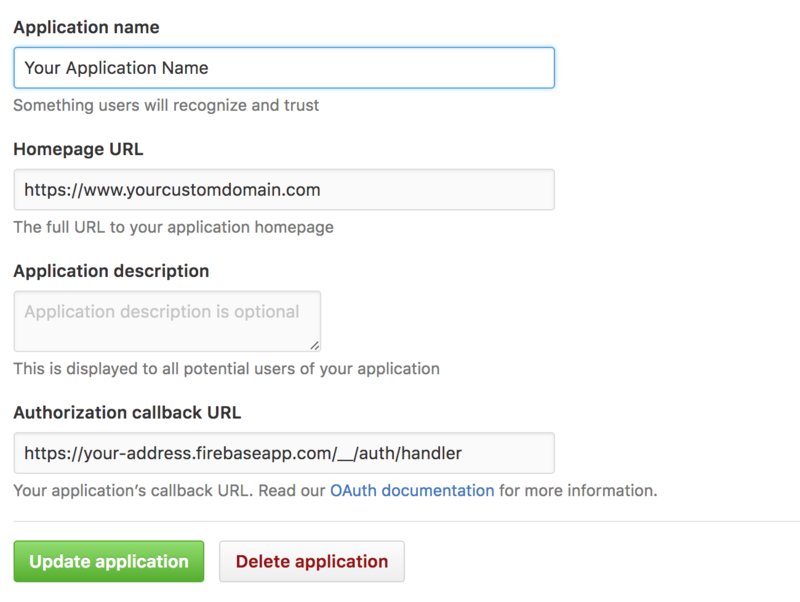 Go create a Github application, give rediction URL as your domain. Go to Twitter Apps and create new application. 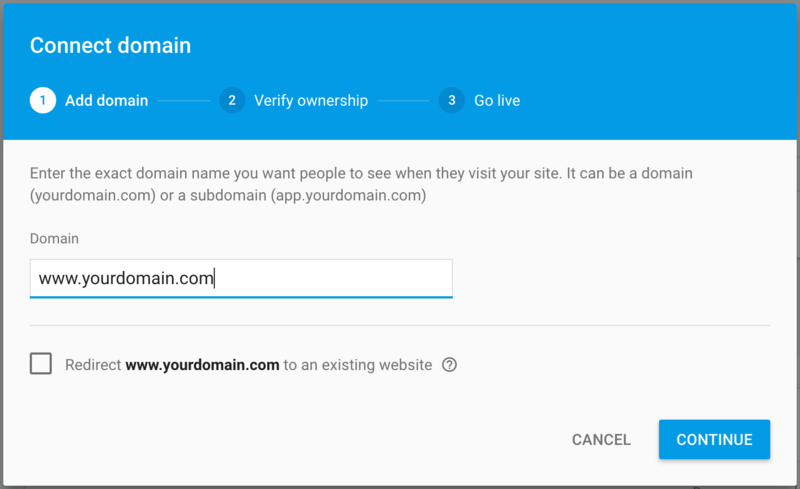 Go to Firebase setting and connect your cloud url with custom domain. Helpful Post, Thanks for share it. Thank you for sharing! It appears AngularFire2 was updated in version 4 that changed the authentication quite a bit. Do you think you could update this to reflect the changes?